It's been six years since we purchased our first home, the home we currently live in. When we bought this home back in 2010, not only was I six months pregnant with our first child but also both consumed and overwhelmed with the idea of purchasing a home that would "need a little work." Looking back, it could have been much, much worse. Thankfully 85% of the home's issues were purely cosmetic- things that we could fix with a heavy duty sander, some paint and a whole lot of elbow grease. Things like neon-peach kitchen cabinets and crumbling laminate counter tops. 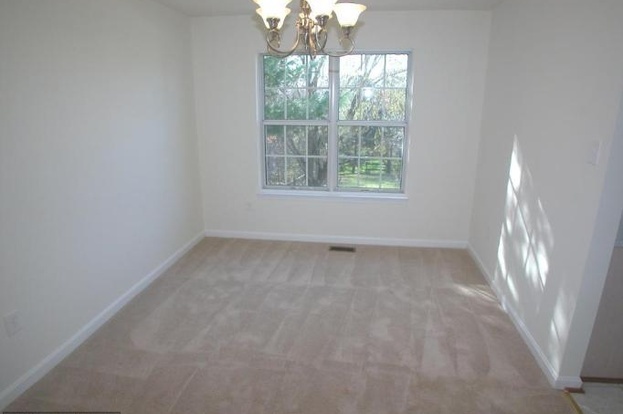 Or hideous gray/green carpet and turquoise walls. To this day my husband still wonders how he ever got me to agree to purchase the home we live in- I blame it on pregnancy hormones. 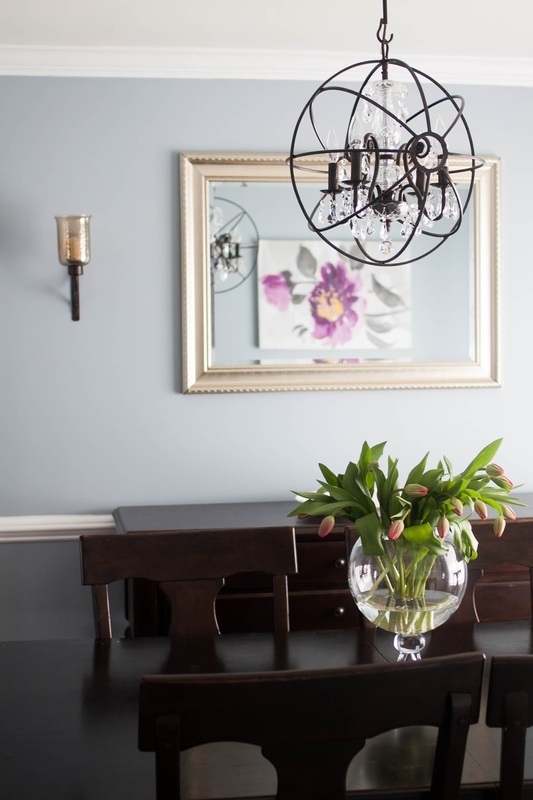 In the eight years that I have been blogging, I have never once shared Before and After photos of our house and after some recent updates, such as replacing the original stock lighting in our dining room, I've decided to slowly start sharing some of the incredible transformations our home has undergone. There was nothing spectacular about this space at all and in a way, I'm grateful for the "blank canvas" that allowed us to really put our own unique fingerprint on the house. 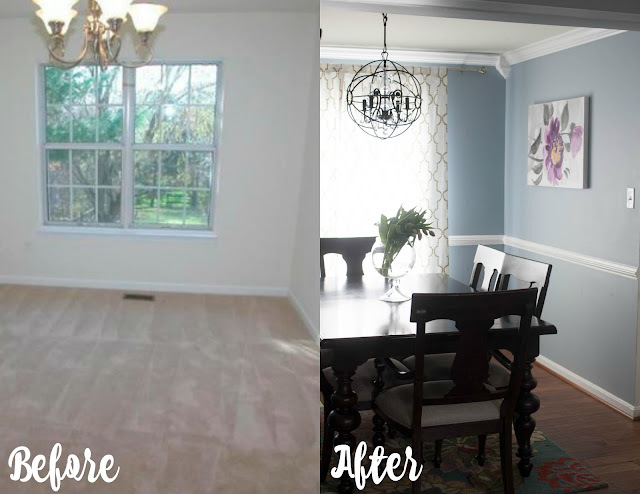 This space has come a long way in just six years and the very first thing to go was the carpet, as we didn't think twice about laying down distressed 4" plank hardwoods. Initially I chose a rich mustard yellow paint for this space and lived with it as such for a mere two years before I got the itch to change things up once more and I'm SO glad I did. Here are a few of the "Before" pictures of the space. You'll notice the drab stock chandelier and dark wood trimmed mirror hanging above the server. 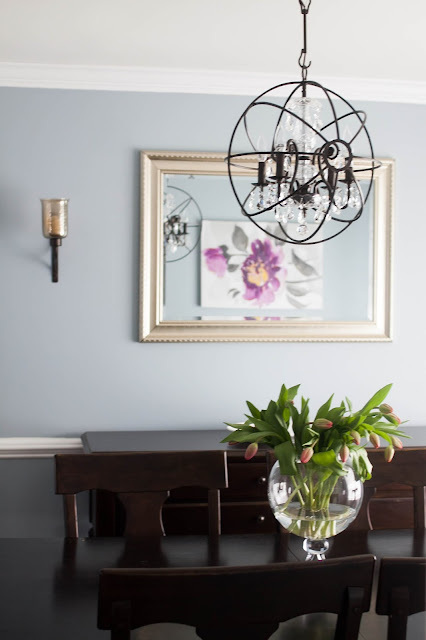 While my original goal for this small space was to create something a bit more light and airy, I believe that each of these pieces was doing nothing for the space but dragging it down. It's difficult for me to say with any degree of certainty that any room in our home is ever 100% complete. 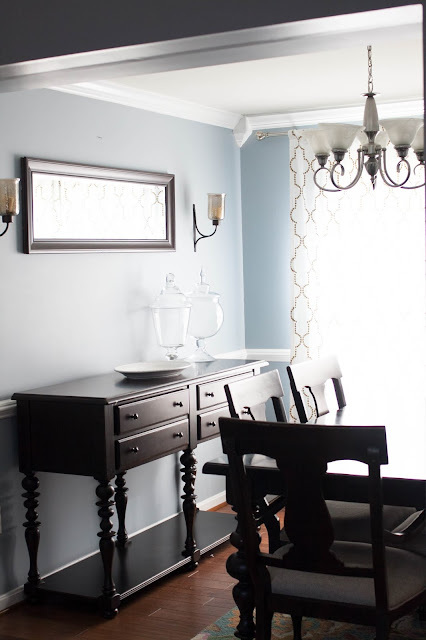 I'm always wanting to rearrange furniture, repaint a room a new color, add trim or replace art work, but after repainting this room, swapping out a mirror, adding trim and replacing the old, outdated lighting in our dining room with a beautiful chandelier from eFaucets, it has quickly become my favorite room in our home as well as feeling the most complete. With so many unique lighting options, I honestly spent hours perusing eFaucets.com. 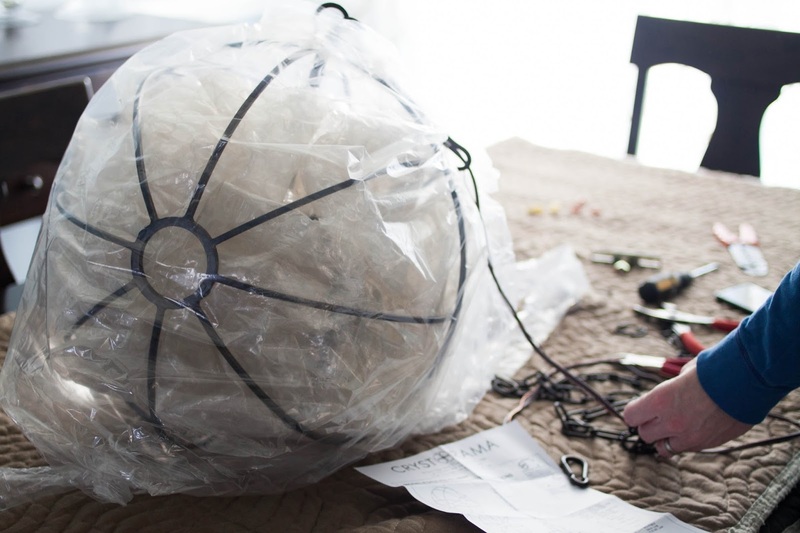 I found myself pouring over pendant lights and chandeliers, outdoor lighting and even bathroom vanities. With a major master bathroom remodel in the near future, I couldn't help but draw inspiration for both lighting and furniture pieces. With so many beautiful options, I couldn't help but get carried away! What a difference lighting makes. 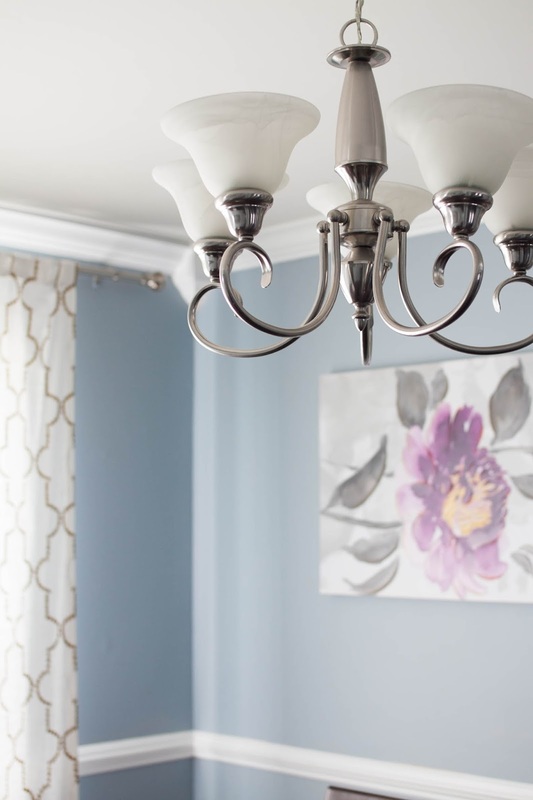 I guess I never really gave it that much credit but the perfect lighting fixture is like the icing on the cake of a finished room. 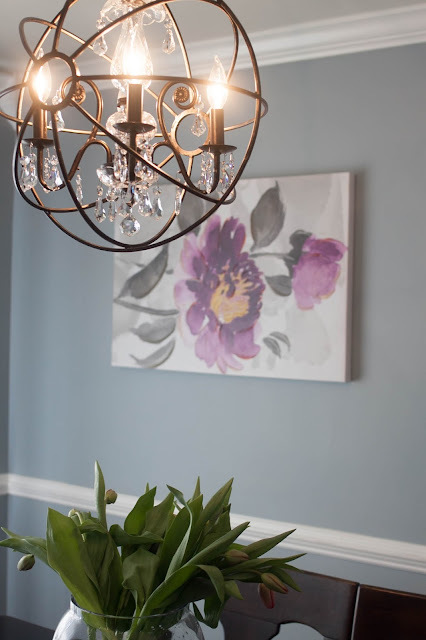 Not only does it pull together a room's details but it also creates a focal point and helps set the tone for the space. I now want to replace roughly 85% of the lighting fixtures throughout our home. If pressed to choose once specific decor style for our home, I'd have to say it's farmhouse glam. It's a mix of natural materials and neutral colors with pops of modern flair and our dining room is the perfect example of this marriage. 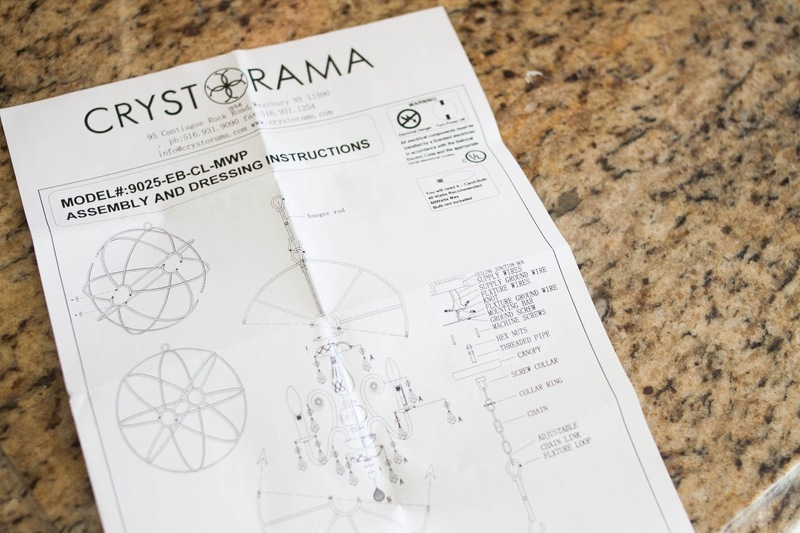 While I could have chosen a more simple chandelier for this space, the Crystorama Solaris Mini Chandelier with its mix of metal and hanging crystals really pulls together the style of the space. Not to mention that when lit, it casts such beautiful designs on both the ceiling and walls of the dining room. The chandelier arrived within days after placing my request online and while I worried whether or not it would arrive all in one piece, it wasn't until un-boxing that I realized how nice and neatly packaged the light was. Not only that but it also arrived completely assembled! A definite bonus in my book. Installation was a breeze after my husband watched a couple videos on YouTube (isn't that how it always goes?). 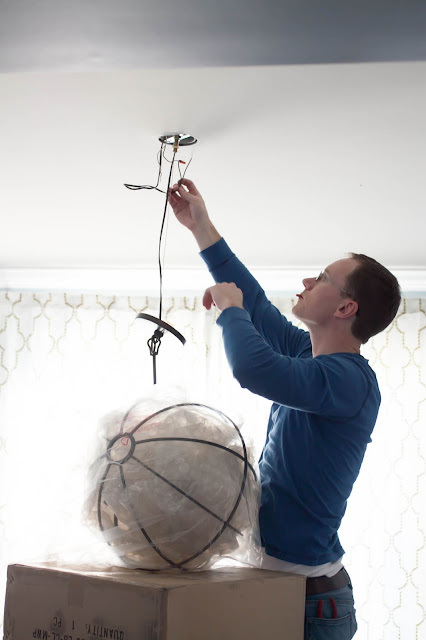 Having little to no experience when it came to installing lighting, we were both a bit clueless as to how this would unfold. From un-boxing to a successful first-time installation, this project was about two hours start to finish. It was honestly so simple that we both now feel 100% comfortable and eager to replace two more fixtures in our home! 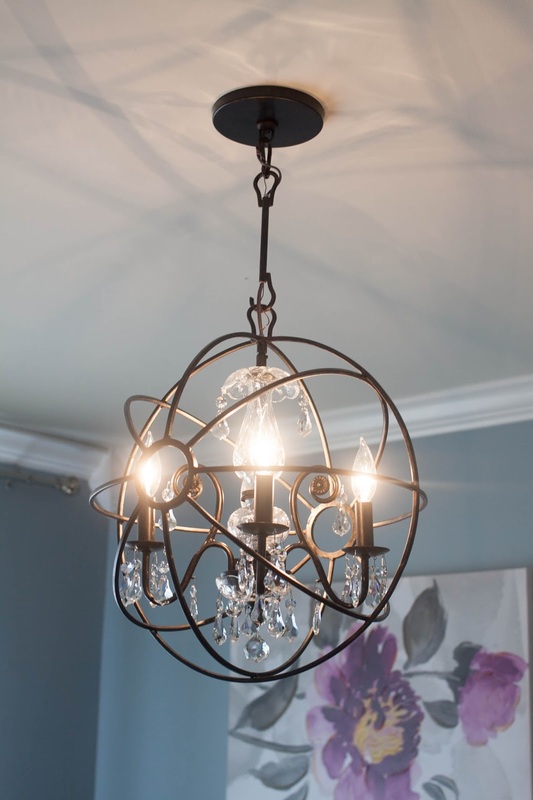 You will notice in the final pictures of our dining room that we decided to forego using the chain to hang the light. 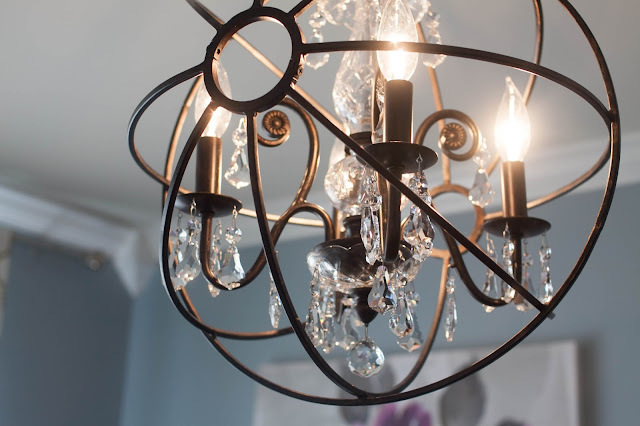 Since we unfortunately do not have 9' ceilings, we felt that the size of the space warranted the chandelier to hang much more of the traditional space between table and light which is roughly 2'-3' and to achieve that height we had to use only the metal "pole" to hang. I actually much prefer this look but have saved the chain for future use if we ever end up in a space with higher ceilings (heck yes, I'm taking this gorgeous light with me!). I am so enamored with the final look and feel of this room. 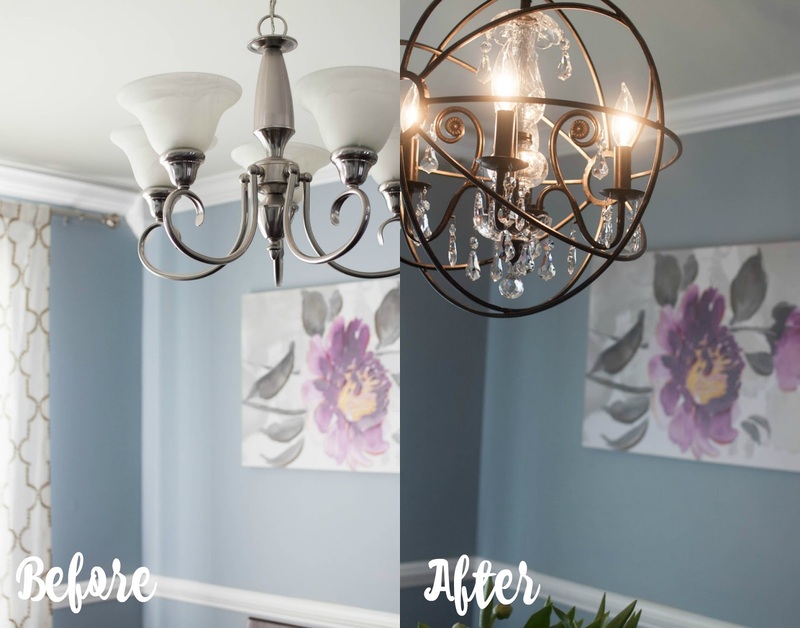 What an incredible difference swapping out a simple lighting fixture could make. 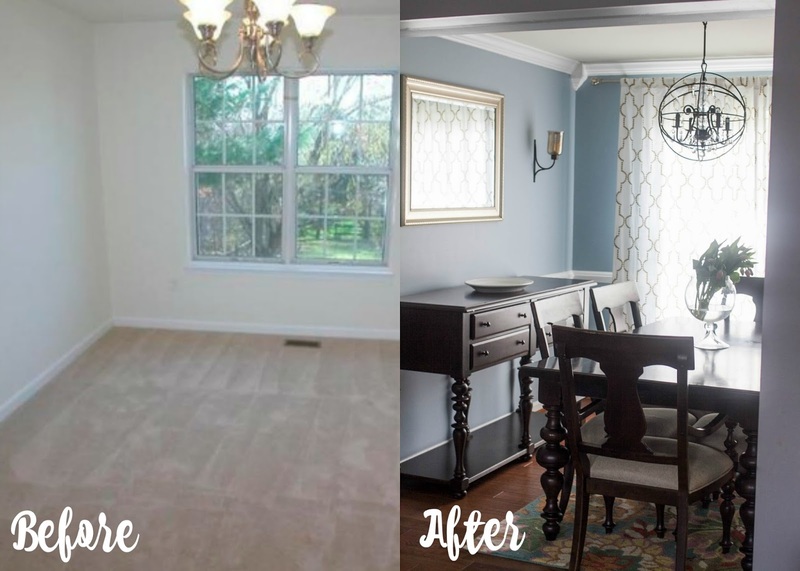 For the first time in six years, I am so thrilled and elated with how this room came to be. It has quickly rocketed to the top spot on my favorite room in our house. I think this means I'll definitely be using this space to entertain more often! And now for the Before and After's! I cannot wait to invite our family and friends over to share in this new and "grown-up" space of ours. I am now an absolute lighting fixture addict and cannot wait to elevate the look and feel of our home by swapping out old, outdated stock lighting with refreshing, bright, "farmhouse glam" pieces. Thanks to eFaucets for making this project both easy and exciting! and the release of new products on Facebook and Twitter! I received product for free in exchange for my honest thoughts and options regarding this product. All thoughts and opinions expressed are honest and my own. I did not receive additional compensation for this review! 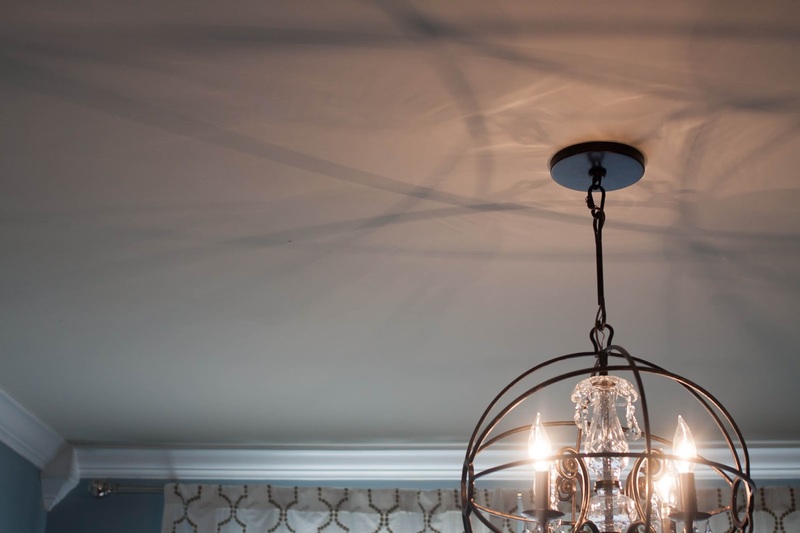 The Property Brothers put a similar light in their house they renovated. You on so on trend! 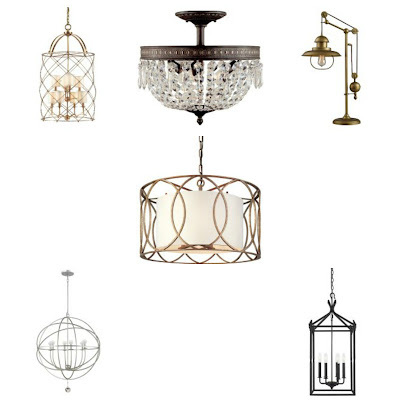 My husband just happens to be browsing pendant lights for righr now next to me, going to check out efaucets right now! The Best Family Vacation Ever. Crockpot Cake: Do or Don't?